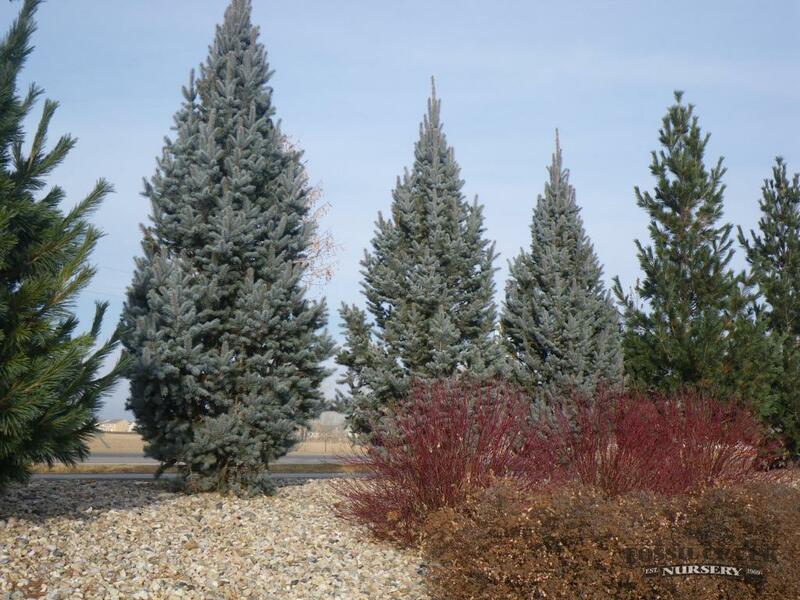 Garden Designers Roundtable: “Trees”, an Important Element in Landscape Design! Billie Holiday was talking about money when she wrote “God Bless the Child” with Arthur Herzog in 1939, but it’s a sentiment I find could easily describe trees, and the homeowners lucky enough to have them on their property. 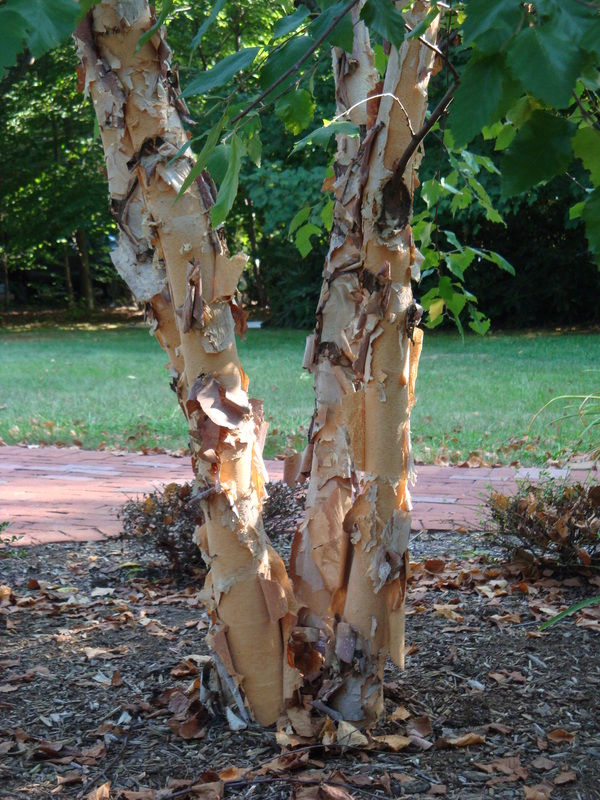 Here in the northeast trees are often taken for granted, often being the first things to go when a homeowner wants to make landscape improvements. 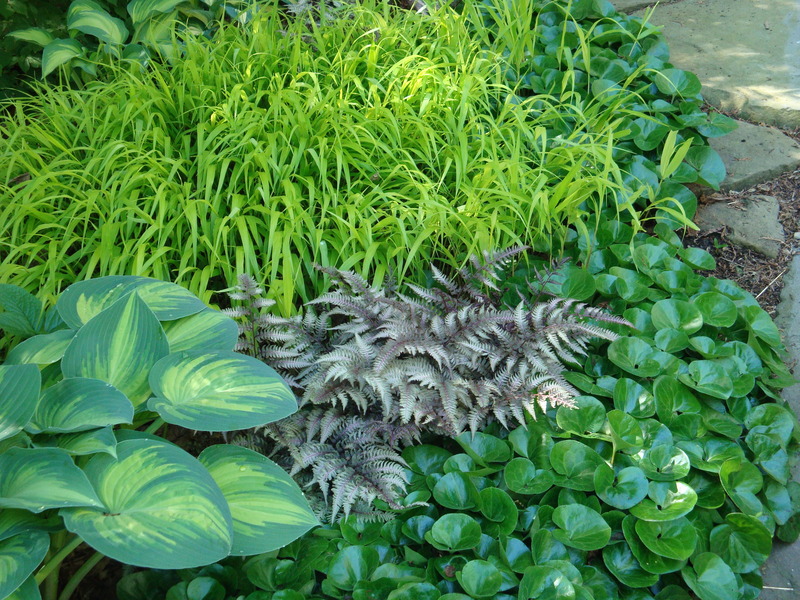 It seems that most of the marketing for the green industry is aimed at either growing a perfectly manicured lawn or creating a garden full of sun loving perennials. In both cases, trees get in the way. 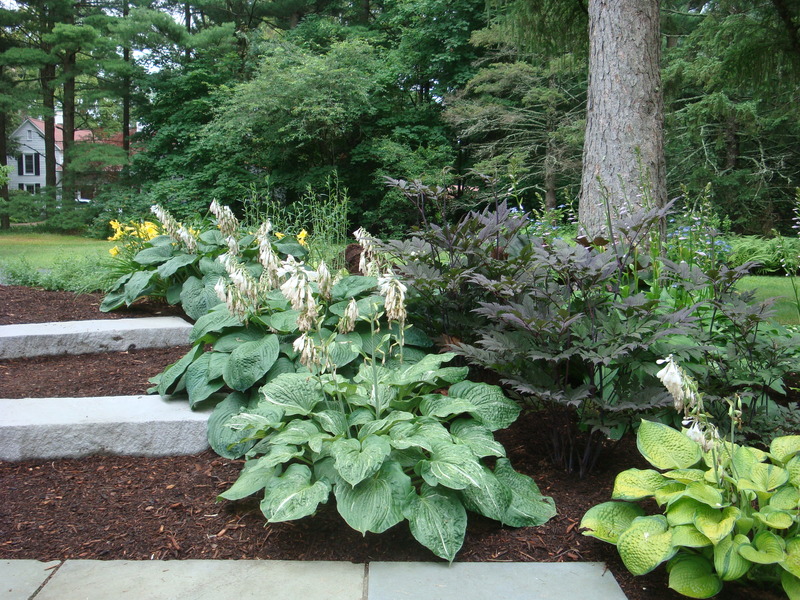 The most successfully designed gardens are those that provide year round interest. They give something to the visitor long after and well before the showy blooms of spring and summer. 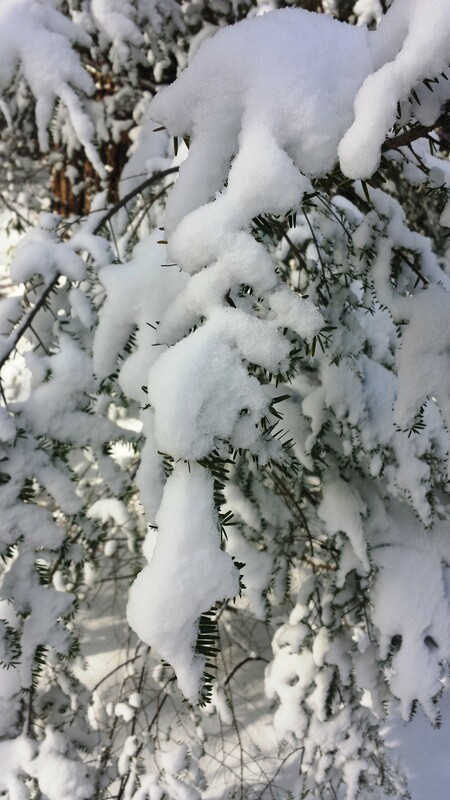 A tree in a garden adds complexity during the season and stark beauty during the bleak months. 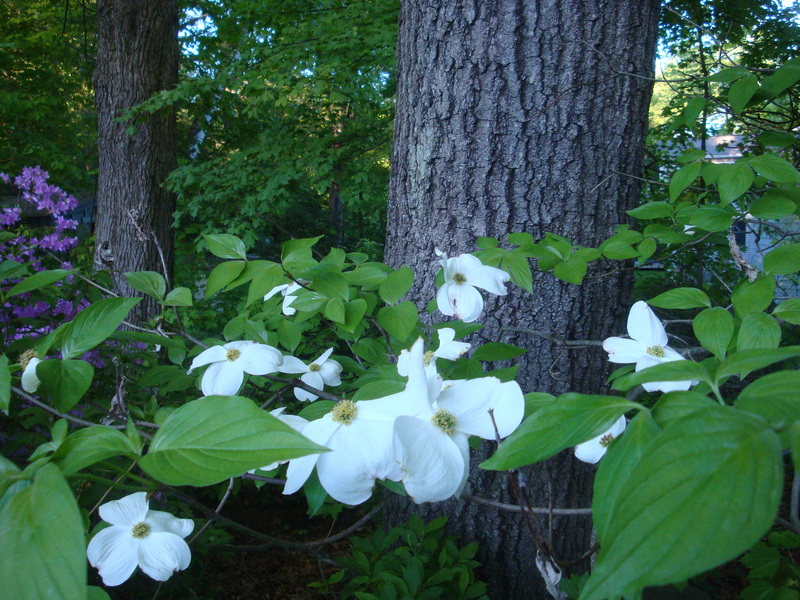 The blossoms of this Dogwood are beautiful, but the trunk of the Oak tree gives depth to this scene. 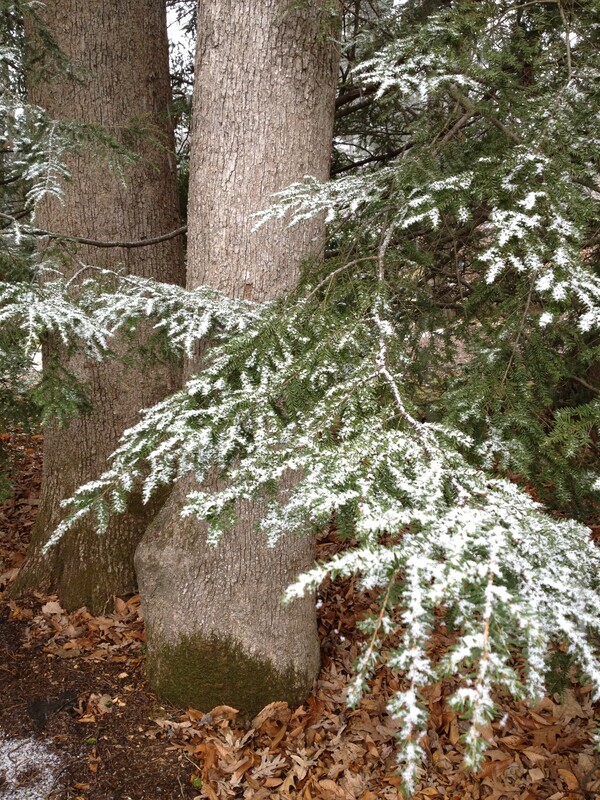 The snow frosted branches of this Hemlock create a pleasing vignette with this White Oak. 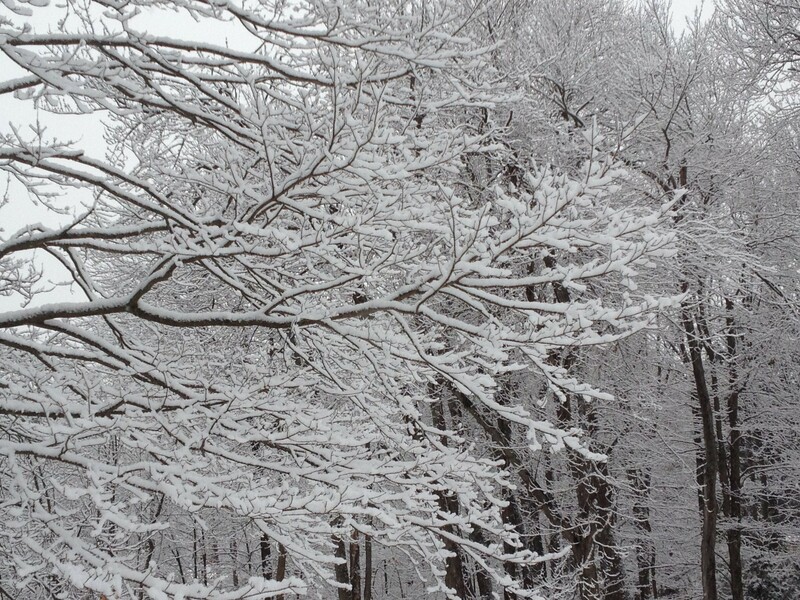 Deep in winter, this Sugar Maple provides amazing interest. Trees give the designer tools to define space in a garden both in vertical plane and horizontal. 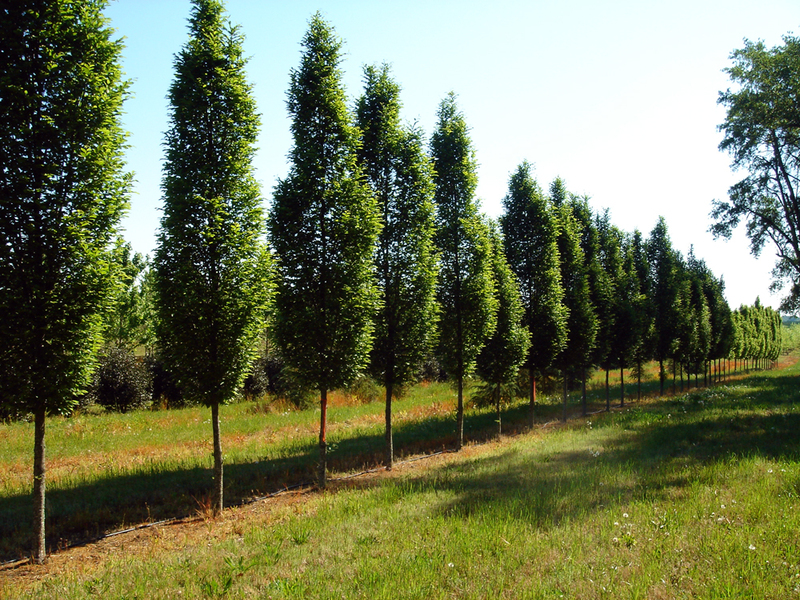 With upright narrow growth, trees such as Fastigiate Hornbeam and Columnar Blue Spruce act as walls to define the borders of property and garden rooms. Perhaps the best reason to use trees in a garden is drama. Drama found in the form of fall color, exfoliating bark, high canopy, or amazing blossom. 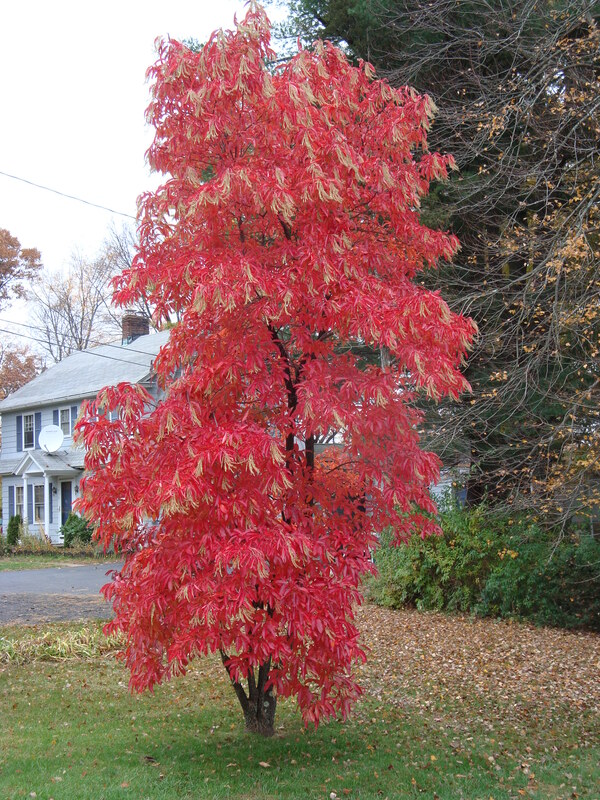 Beautiful fall color of Sourwood! 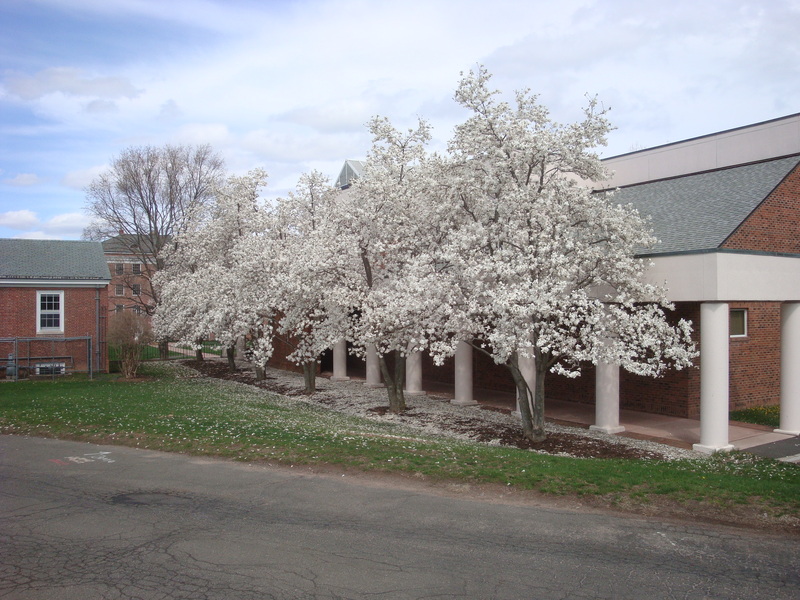 These Star Magnolia provide drama in the canopy and on the ground. 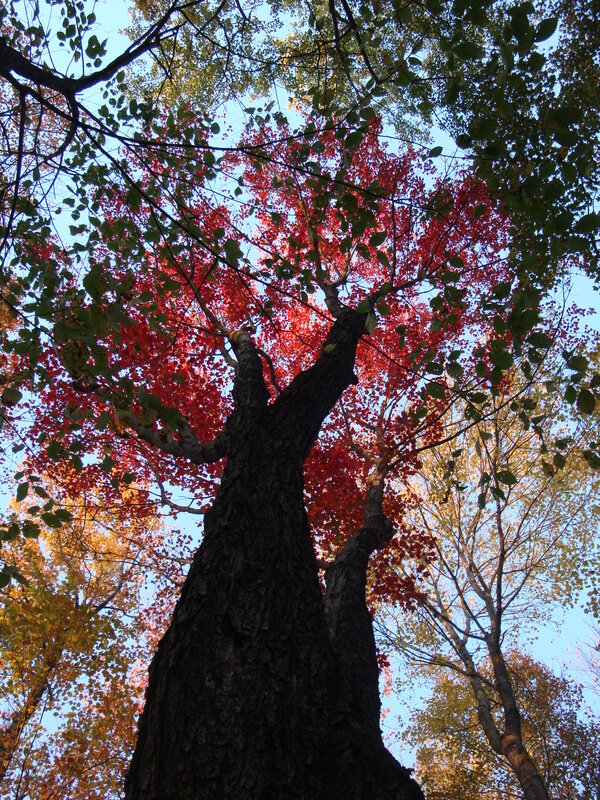 The high canopy of this Red Maple creates an amazing sense of scale, especially in the fall! The beauty, depth, and richness, of a shade garden can only be created when large trees are present, providing canopy to a space. Senses awaken and the connection is visceral. 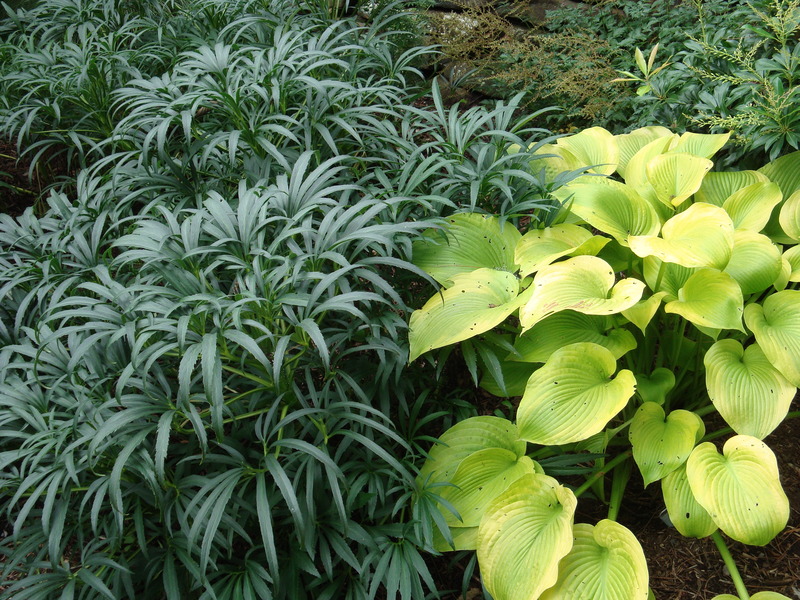 A beautiful combination designed by Margaret Roach in her shade garden! 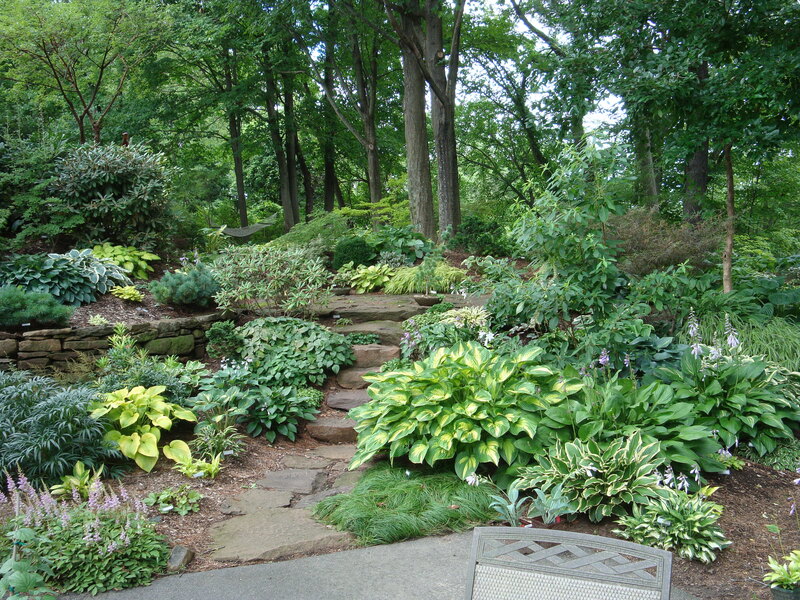 When considering your next landscape improvements, please friends, look to the trees as assets, and let them provide the tools to create an amazing space in your garden! How are the trees in your garden of benefit? I’d love to hear about them, leave me a comment. And, please visit the other blogger’s of the Roundtable with the following links, and see how they value trees.